A lunch for you and me. Nearby, Pika watches Wolf, only his nose and bright eyes visible at the burrow entrance. "What brings you here? We rarely see your kind on this pasture," queries Pika. Wolf looks around and spots Pika. "Well," says Wolf, "I'm here to catch pikas. But you're safe for now." "You haven't answered my question," responds Pika. Wolf decides to be civil and tells Pika, "I hunted for months across pastures to the north. They were my home. I mainly had pikas for breakfast, lunch and dinner and for snacks in between. Only rarely did I kill a sheep. One day many people came and spread poisoned grain all over the pastures to kill pikas. Nearly all the pikas died. Have you heard of that before?" Pika does not like this conversation. He does not like to think of being eaten by Wolf. And he cannot begin to understand why humans would want to kill all the pikas. So Pika merely shakes his head in response to the question. "Anyway," continues Wolf, "with most pikas dead there was little for me to eat. So naturally I killed sheep. The herders had mostly ignored me until then. But suddenly they were determined to kill me, too. See, the tip of my left ear is gone. Someone had a gun, and a bullet almost got me. So I left. May be I'll stay here awhile. 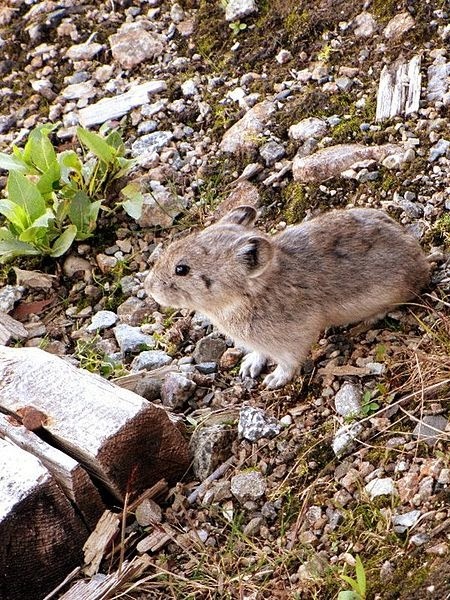 There seem to be a lot of pikas." Just then Wolf spots two gazelle, a mother and her baby. Few gazelle have survived in this area. The many pasture fences greatly hinder them when they try to escape a dog or wolf. Most fences are too high for gazelle to leap over. "Watch me," says Wolf. "I have developed a special technique for catching gazelle. The fences really help me." 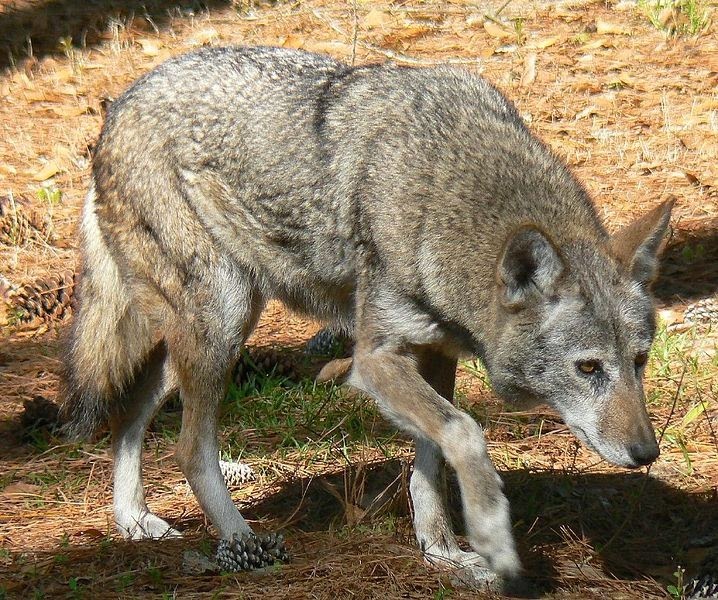 With that, Wolf approaches the gazelles slowly in a crouch. Suddenly Wolf sprints towards the gazelles. Startled, they flee. Wolf is soon at their heels. Ahead is a fence. The mother gazelle zigzags and turns sharply away from the fence. Her less experienced baby dashes a full speed into the wire fence. Half stunned, it bounces back, its thin legs flailing. And Wolf is there ready. Pika watches and ponders and considers the effects of poisoning pikas and building fences. People, he concludes, don't think ahead. They do not consider the consequences of their actions.